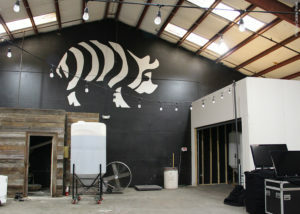 The Striped Pig Distillery in Charleston, SC is the city’s first distillery since Prohibition. They have been producing small-craft, premium, handcrafted spirits, such as whisky, rum and vodka since 2013. 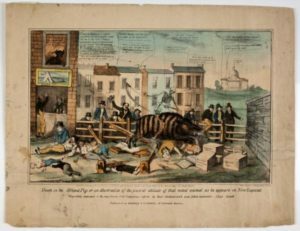 The story of the “Striped Pig” is a piece of history dating back to 1838. In earlier times, when there were restrictions on the sale of alcohol on military parade grounds, one business man came up with a clever marketing trick. With the restrictions on the sale of alcohol in place, the clever business man obtained a license to exhibit a ‘striped monster’ in his tent during the festival. His gift to all the visitors who paid to see the ‘striped monster’ – a free glass of rum. The entrance fee was a few pennies, similar to the price of a glass of rum at that time. Inside the tent he exhibited a pig painted with stripes and to the relief and enjoyment of his customers – they could have their glass of rum and were free to reenter the tent after leaving. 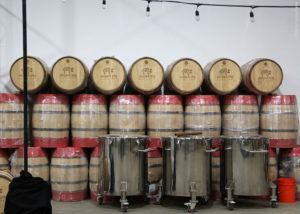 Read the full story here or learn more about Prohibition and the “Striped Pig” story on one of their free tasting tours. 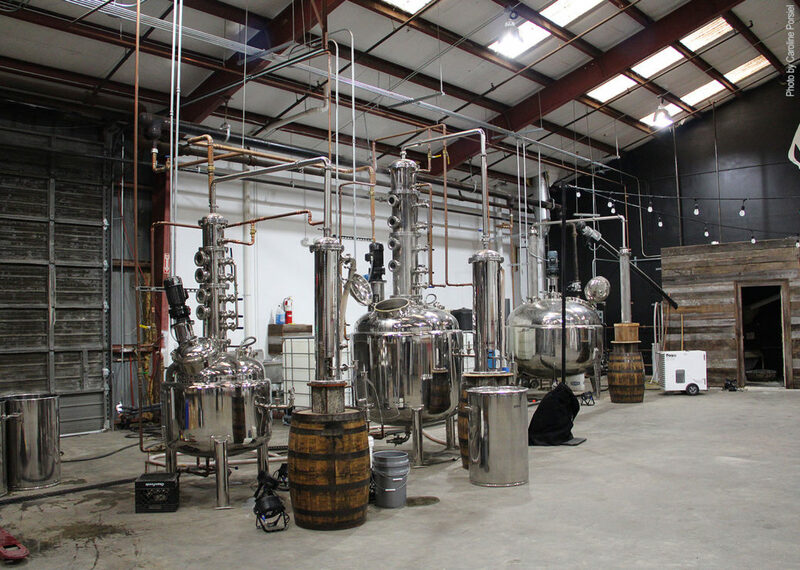 The Striped Pig Distillery uses traditional distilling methods, local ingredients and they distill their liquors in the ‘Southern way’. They are located off of Azalea Drive, just minutes from Downtown Charleston. They are open for FREE Tours and Tastings.